FIRST Extended Thru Nov 10! Altair productions, The Aluminous Collective and PlayGround – the producers of FIRST, Evelyn Jean Pine’s new play about 20-year-old Harvard drop-out Bill Gates (played by Jeremy Kahn) and the very first personal computer conference – have announced that the play has been extended. The world premiere production, directed by Michael French, will run at Stage Werx until November 10. For tickets, visit http://playground-sf.tix.com. 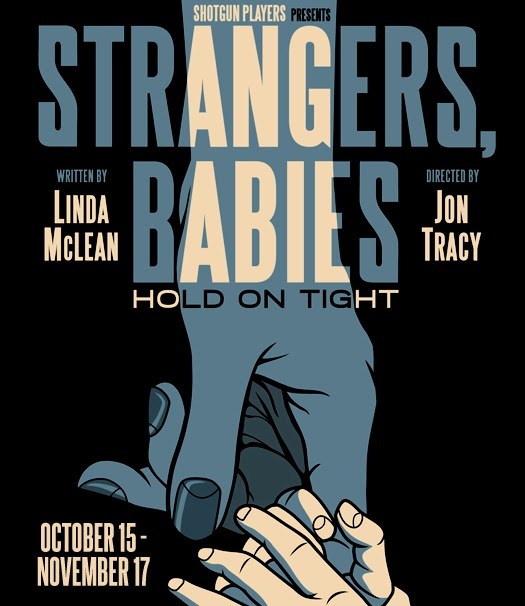 Originally commissioned and developed by the new play incubator PlayGround, the world premiere co-production continues Thursday through Saturday at 8pm and Sunday at 2pm through November 10 at Stage Werx, 446 Valencia Street in San Francisco. Tickets are $25 for General Admission and $35 for Premium Seating and can be purchased online at http://playground-sf.tix.com. PlayGround subscribers save 50%. For more information, visit http://firsttheplay.com. Ready for a Wild(er) Time? PlayGround announced the selected plays and playwrights this morning for the MondayNight PlayGround season opener and tribute to the late Barbara Oliver, taking place at 8pm, Monday, October 21 at Berkeley Repertory Theatre. In cooperation with the Oliver family and reflecting Barbara’s passion for the works of Thorton Wilder, PlayGround announced the topic (“THE SKIN OF OUR TEETH”) last Friday and PlayGround writers had just four days to prepare their original short scripts. Tickets and discount season subscriptions can be purchased online at http://playground-sf.org/boxoffice. Barbara Oliver joined the PlayGround Company and began directing for PlayGround in 2004, shortly after stepping down as Founding Artistic Director of Aurora Theatre Company. In 2006, she joined the PlayGround Board of Directors where she served until her death. Though perhaps best known in the Bay Area for her chamber productions of the works of George Bernard Shaw and other classic playwrights, she seemed most energized around new plays and the chance to collaborate with living playwrights and, over nine years with PlayGround, collaborated on more than twenty projects through the Monday Night PlayGround staged reading series, Best of PlayGround Festival and PlayGround commissioning program. 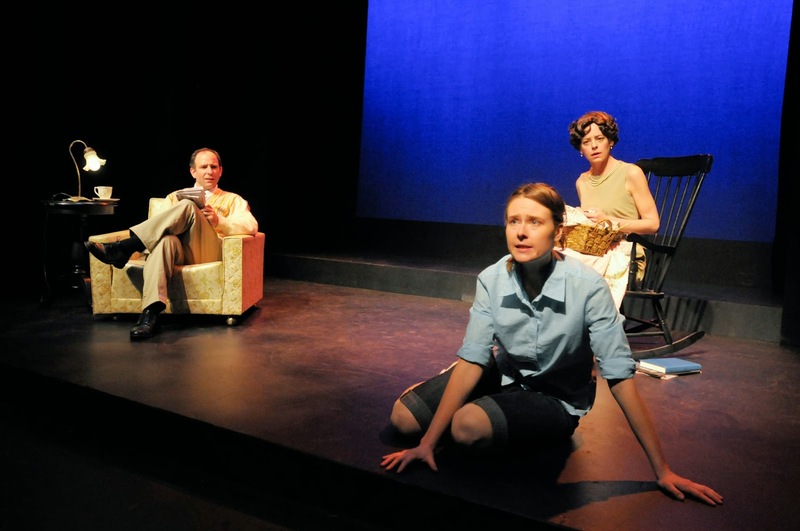 In that time, she had the opportunity to partner with some of the Bay Area’s best new playwrights on their short and full-length work, including Kenn Rabin, Aaron Loeb, Geetha Reddy, Daniel Heath, Katie May, Evelyn Jean Pine and Tim Bauer. As a board member, she was a passionate and outspoken advocate for PlayGround’s emerging artists and staunch champion and protector of PlayGround’s mission. She left an indelible mark on PlayGround and on all with whom she collaborated this past decade. 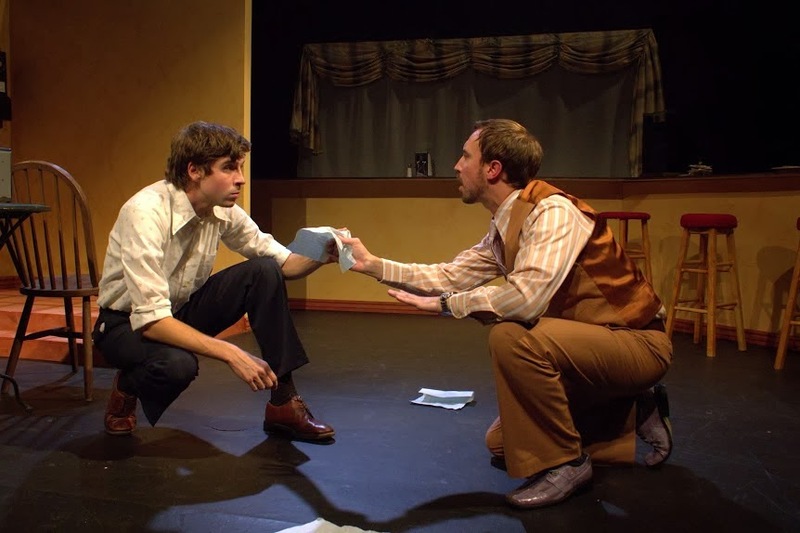 PlayGround audiences get to enjoy a unique behind-the-scenes perspective, with a free Pre-Performance Discussion at 7:10pm, featuring A. Tappan Wilder (Thorton Wilder’s nephew), Soren Oliver (Barbara’s son) and selected playwrights. Audience members can also experience the thrill of being a producer through the monthly People’s Choice Awards, helping to determine which plays and playwrights go on for consideration in PlayGround’s annual showcase, the Best of PlayGround Festival. WHAT: Occurring monthly, October-March, the popular Monday Night PlayGround series presents staged readings of thematically-connected short works by the Bay Area’s best new playwrights each month at Berkeley Repertory Theatre, staged by leading local professional actors and directors. The given topic for the October 21 PlayGround season opener and Barbara Oliver Tribute is “THE SKIN OF OUR TEETH”. TICKETS: $15, available online or at the door. Pay-What-You-Can at the door beginning one hour before the performance, subject to availability. Introductory subscriptions are just $60 (50% off priority seating). For more information about the Monday Night PlayGround series, call (415) 992-6677 or visit www.PlayGround-sf.org. Danielle Thys can now be heard at The Marsh Berkeley every Wed 7-9:30pm singing jazz with The Randy Craig Conundrum (for trivia buffs, Randy is PlayGround company member Stacy Ross' husband and was the music director for SF Mime Troupe). Nancy Carlin is just back from University of Virginia where she was an artist-in-residence working on her musical MAX UNDERSTOOD. Next, she’ll be directing IT'S A WONDERFUL LIFE A LIVE RADIO PLAY for Shakespeare Santa Cruz/UCSC. Resident Playwright Ignacio Zulueta's 2013 PlayGround Fellowship commission, KANO & ABE, kicks off San Francisco Playhouse's new works reading series this October 14th at 7pm at the new 450 Post St. theater. PlayGround writer Jordan Puckett is producing, with PlayGround actor Elena Wright reading along with Bay Area faves Carlos Aguirre, Ogie Zulueta, and Lee Robin Salazar. Robert Sicular is opening WARRIOR CLASS at TheatreWorks this week. 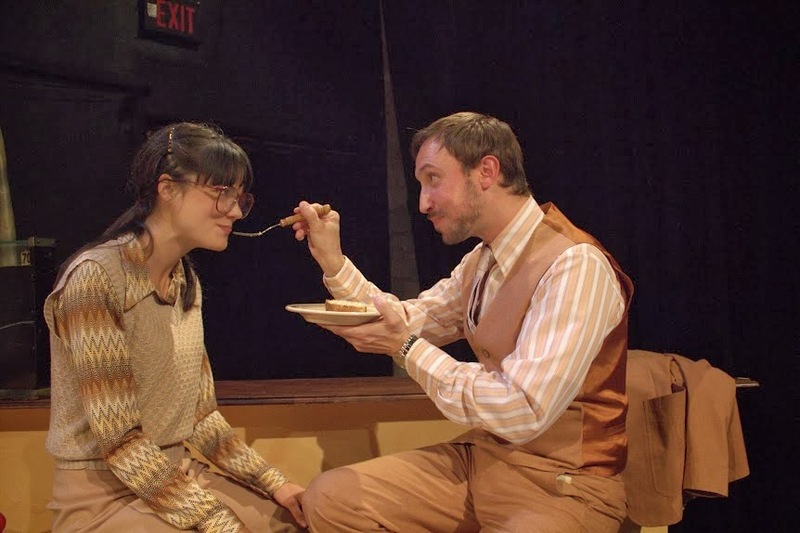 Written by Kenneth Lin and directed by Leslie Martinson, it stars Robert, Delia MacDougall, and Pun Bandhu. Show runs October 9th-November 3rd. Patrick Alparone can be seen in BURIED CHILD, closing this week at the Magic. Molly Noble is performing in Gabriel Grilli's new piece for Brickabrack, NEVER FALL SO HEAVILY AGAIN. Leah Halper just learned that she'll be writing for SF Olympians 2014 on the Oreads topic. 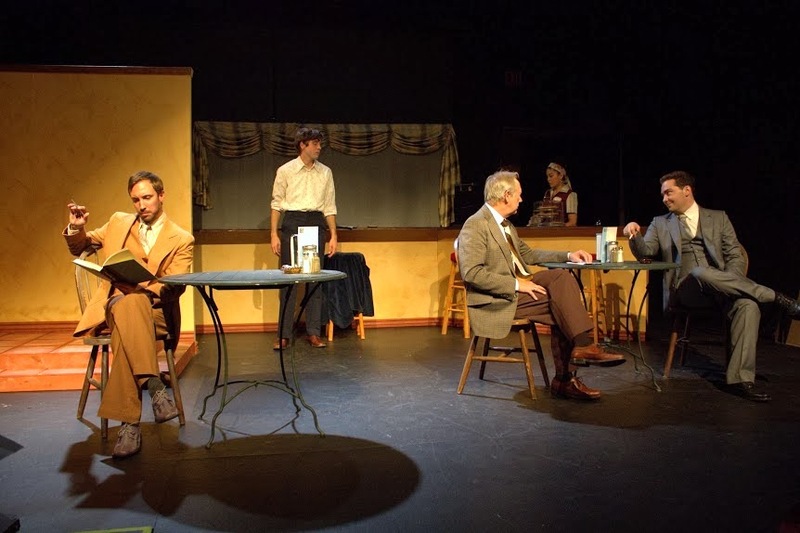 PCSF hosted a reading of her full-length play, THE FOUNDATION FOR HEAVEN ON EARTH, which drew a nice enthused audience at the Shelton Theatre on Sept. 30. Gwen Loeb will be playing Pauline in A BRIGHT NEW BOISE at the Aurora, opening November 8th. Brian Herndon starts rehearsals later this month for EDWARD GANT'S AMAZING FEATS OF LONELINESS with Shotgun Players. On October 12th, Patricia Cotter's new musical ROCKET SCIENCE (Libretto) will be presented by The Cy Coleman New American Musical Reading Series at The American Theatre Group's Hamilton Stage in New Jersey. Rebecca Pingree is playing Helena in A MIDSUMMER NIGHT'S DREAM with Pacific Repertory Theater in Carmel-by-the-Sea, running through October 20th.